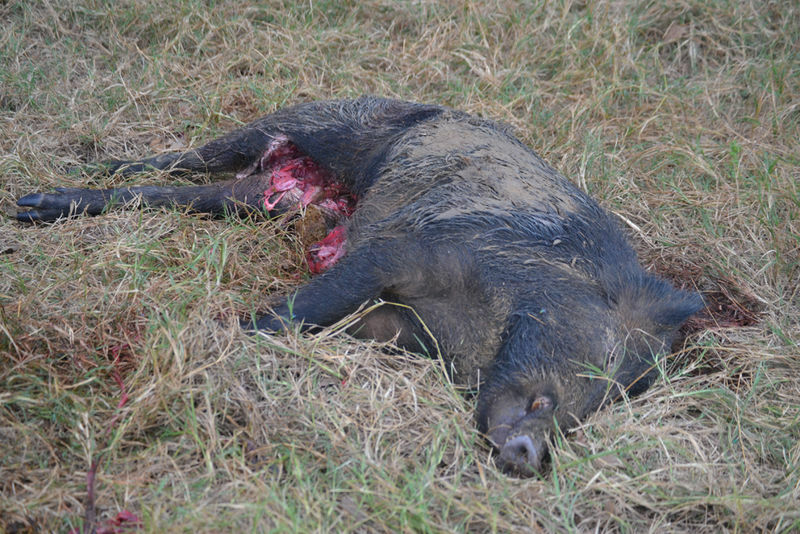 Not the movie..I’m talking feral pigs. Been battling them for the past year or so. I have killed 7 so far. The last batch was two months ago and I thought they were gone for a while but they are back. When I was cutting grass today I saw the rooting around my blueberry bushes..these f@#$&rs can do a lot of damage in a short amount of time. So, I will head out around 11:30 pm tonight and sit by the pond and wait. The last time I went, I took three out; two on the run at 50-75 yards. I used to use my deer rifle but now I use the Daniel Defense 5.56 because I can ring a lot of shots off quickly and very accurately. I can dial down the illumination on the EoTech site and use a green spotlight to illuminate them. The good news is, we love the meat. Last weekend I used the sous vide and made bbq and Cuban pork...The Cuban pork turned out phenenomal with fresh chimichurri. 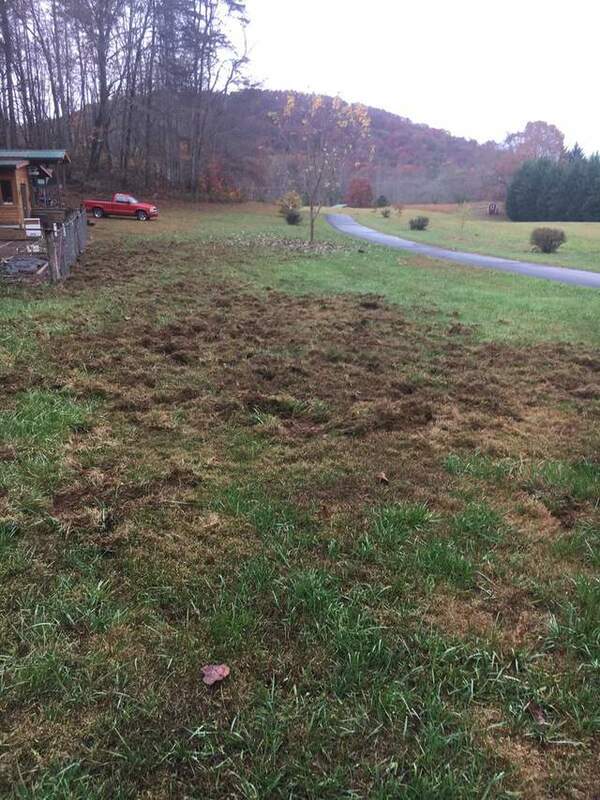 Hogs out of confinement can do a lot of damage. They are good eati’n though. 85 928S; LSx conversion, 5 speed with LSD. There are hundreds of them around my place in central Texas. Show up all the time on my game camera. I fenced off the area around the buildings with "hog" wire to keep them off the lawn. The lawn would look like someone took a roto-tiller to it every time they visited. I shot this one at dusk and went to check it out the next morning. The coyotes had already eviscerated it during the night. Although there is no season for shooting them in Texas, I have been told that you should have a hunting license if you plan to eat it or even take the tail or an ear for a trophy. If you treat it like a varmint and just exterminate it without touching it after, you don't need one. The vultures and coyotes make short work of them. We have a few areas around here with them - supposedly. One are is about a mile from my house. We go hiking on a dirt road in that area occasionally and have never seem any or signs of them, although we did run into two guys once who asked if we'd seem any. In reading about them, the supposedly can be a danger in terms of some diseases, but who knows. I think some guys around here wouldn't mind shooting some. They’re all over the woods here in Japan too. Unfortunately gun ownership is restrictive. Some of the farmers trap and kill them. They give us the meat sometimes. I made a good pulled pork in the slow cooker. But if I’m short on freezer space I steam it and feed it to my golden retrievers. Kill as many as you can. They propagate like crazy. Beware of blue fat, if you're considering eating them. That means they've eaten poison. Of course, it doesn't bother them, but it's not so good for humans. I like that you don't let them go to waste, that's great. That's really good meat. Trapping them is the most effective way to control them. People build whole corral type traps where the entire group will get locked in with one way entries. Of course only set when you can check daily, but having a large trap like that live with bait will take care of your problem much better than shooting them. They are pretty wise and will just move on to come back later if they get any hunting pressure. Too bad that shipping to PA would be expensive. If you were willing to, I am trying to find some meet like this for smoking. Stuff from the stores and local farms is just not the same. Grew up on Yuengling! Have it to thank for some fun nights with girls in high school. So how effective is 5.56 on the hogs? Are you getting one round stops or are you needin a second round on them? .308=drop them in their tracks no matter where you hit them. 5.56= deadly but shot placement is critical for drop in place. Most of the one I have taken have been under 75#’s but I did take a sow that was over 200# with the 5.56. Sat out for two hours last night and didn’t see anything but I will give it another go tonight. My nephew keeps his 270 at the property so that is what is handy. 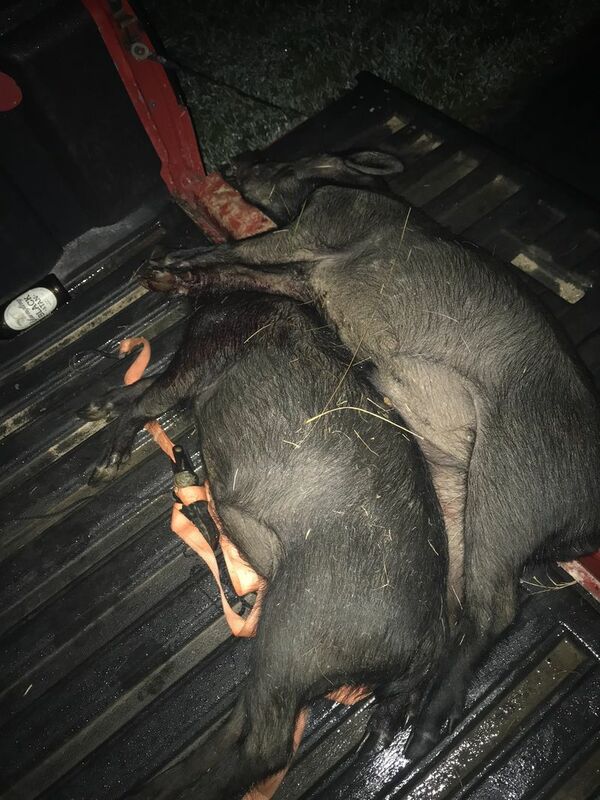 Never had a problem dropping a hog with it. Only shot this one with the game camera. They're bad, but the movie is worse. So, I hear there is a gland you need to take care of when field dressing. 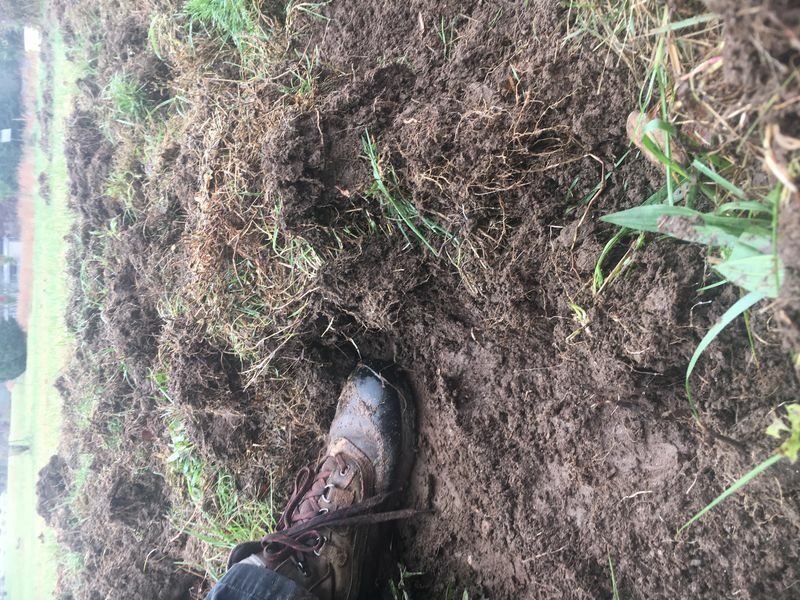 Any words of wisdom for field dressing one? The X15 was the only aircraft I flew where I was glad the engine quit. - Milt Thompson. "Don't get so caught up in your right to dissent that you forget your obligation to contribute." Mrs. James to her son Chappie. Last edited by sammyg2; 09-11-2018 at 05:46 AM..
No gland that I know of and they are delicious. That said, from harvest to field dressed and iced down is less than an hour. There are no better ribs than wild hog and the porterhouse is unbelievable!!! The meat, compared to store purchased pork is like comparing store bought chicken to pheasant...similar flavor but more depth with the wild version. Saving my property from the damage is priceless. There are videos on YouTube of people blowing up hogs on mass. I guess when you guys ban guns, you have other ways to entertain yourselves? So that's what people are talking about when they say, "When pigs fly." "We had a band powerful enough to turn goat piss into gasoline." 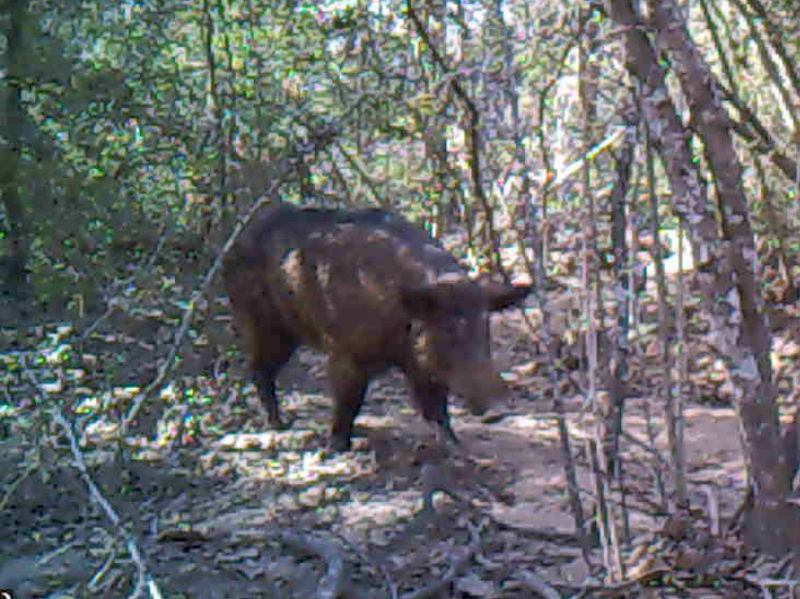 We have lots of feral pigs here and they can get really big so farmers often take them out on mass using explosives. 2. You can only own a double barreled shot gun or single shot bolt action rifle (no magazine). Pump action, lever action or semi auto = banned! 3. Pistols are heavily restricted plus all the number 1. stuff applies. We can't carry in any state regardless of risk but body guards can get a security guards license so they can carry but it's difficult to say the least.